There are some major advantages to utilizing infrastructure-as-a-service, especially for businesses concerned with up-time and scalability as they grow in their respective markets. IaaS goes beyond simply virtualizing infrastructure, by also adding a software management layer with single pane of glass administration to allocate resources, both external and internal, and to maximize support. Cost savings – At the first sight, any good look into long term cost-savings are not that obvious. However, cost saving is going to be tangible, although not necessarily direct. Overall costs are bound to go down- you will require less people, streamline your operations and have time and resources to focus on business growth. Cutting edge technology – Because of their own competitive market constraints, datacenters and data architects are feeling the pressure to always provide the latest and greatest at an easy-to-adopt cost platform. IaaS saves IT staff time – In examining time savings, it is important to factor in the benefits of automation that some service providers offer. In some cases, automation will not only offset the operational costs, but also optimize the way your data is loaded and saved. This automated optimization can save a lot of money in direct storage and compute costs, as well as the time spent on data prep by your staff. Focus on business growth – The savings in time and resources, along with the added benefit of knowing fixed costs of expansion of employee needs, enable an important shift in focus, allowing your team to keep critical business imperatives front-and-center. Scalability and elasticity – IaaS provides an extraordinary level of flexibility and scalability in response to an enterprise’s requirements. .
Support for Disaster Recovery (DR)/Business Continuity (BC) – IaaS services provide high-level, consolidated DR/BC solutions, further reducing costs and increasing manageability. The current generation of IaaS providers is all-in on managing complexity by helping businesses optimize with the help of machine learning and the latest developments in artificial intelligence, as well. This last generation includes self-optimizing analytics infrastructure in the cloud, adapting to ever-changing data needs from across many different industries and verticals. These technologies aim to abstract away the vast complexity of components and configurations required to maintain a robust infrastructure allowing companies to instantly utilize their data, processes and environment, no matter what size they happen to be. 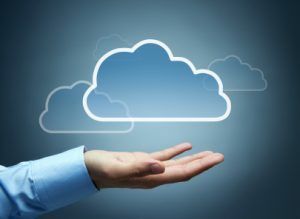 Easy migration and rapidly decreasing costs make a cloud infrastructure as a service a viable option for everyone looking to increase efficiency, create turn-key growth and forecast costs for IT to a level of predictability not yet seen. SOS is proud to offer this option to our clients and new friends. Contact us to learn more and to organize a complimentary assessment.